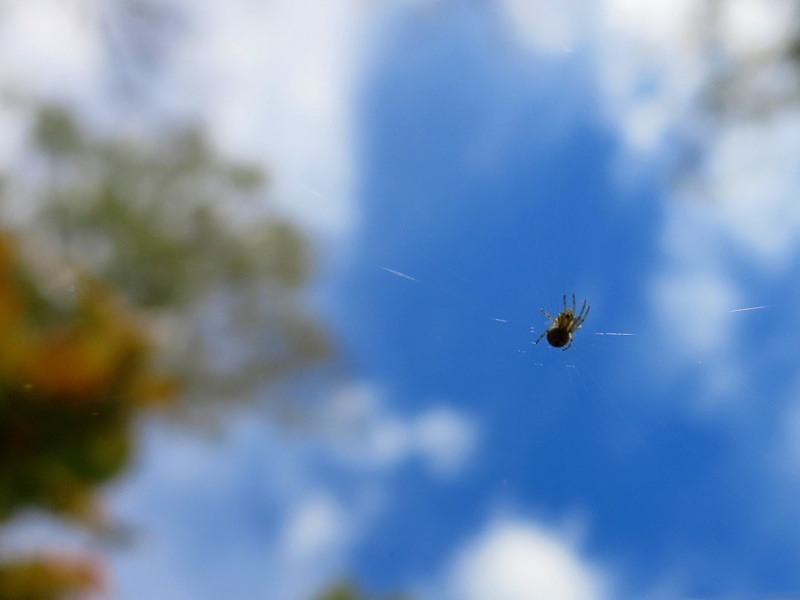 Spider, spider in the sky, waving just above my eye: I just want to say hello, and take your picture from below. Spider, spider in the sky, thanks so much for staying high (and not dropping on me while I was taking this picture). This entry was posted in Out and about and tagged photos, SITY, sky, spider. Bookmark the permalink.